I love Valentine’s Day! ?I love the red and pink decorations and I love all the chocolate! Ok maybe I just love the chocolate! ?One of the things I have been wanting to make this year are some fun valentines cards for my friends! ?I wanted to make cute one’s just to let them know I’m thinking about them. ?I love the valentines with animals on them with a cute little saying so I decided to make a set of these! I started off by finding some cute animal clip art on Etsy. ?I used clip art from Collective Creations, Paper Prints Design, and Gift Season Store! ?I have found that Etsy is a great source for digital clip art and some of these I already had but some I wanted to get specifically for these valentines! First I came up with some cute sayings. ?There was a long list but I decided to pick out 4 of my favorites! ?All of them were a little goofy but I love goofy things! I started off with my first one that was and idea I got from a friend of mine. ?She sent me a cute picture of an otter but I found this little guy at?Paper Prints Design?and couldn’t resist! In the same set of clip art from?Paper Prints Design?I found a cute little whale. 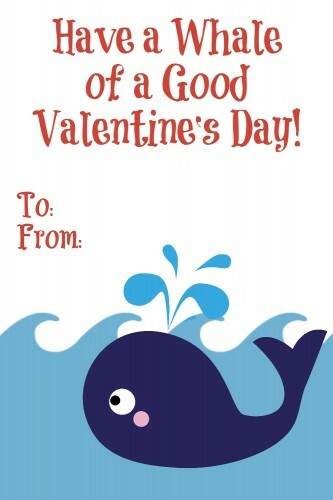 ?So I found a little cute saying for my whale! While I was talking to my friend she came up with this great turtle-ly saying that I had to use because it made me laugh. ?I found this clip art from? ?Collective Creations! The last one I came up with because I absolutely love owls! ?I had to use these cute little guys from? 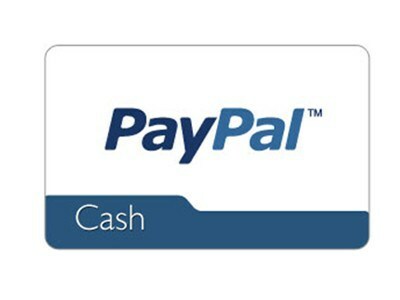 ?Gift Season Store?to make my valentine! These were so much fun to make and I can’t wait to give them to some of my friends! ?I think they would also be cute for your kids class room valentines parties or for your co-workers! You can download your free valentine’s day card printable? with all four of the valentines below! These are so stinking cute! I love the owl one! Thanks! I think the owls might be my favorite! Super cute and appropriate for giving to lots of different people. Love it! Aww really cute! I love the turtles. These are very cute.. my daughter is still into giving the cards out in school.. these would be good. Ha ha! I definitely love the chocolate, between Halloween and Valentines day these months are so so bad on my sweet tooth. 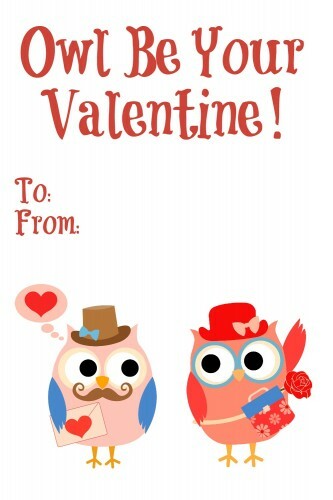 I love the “Owl Be Your Valentine Card”. Thanks for sharing! Very cute blog! Love the layout and colors :) Even the tabs at the top are eye catching! 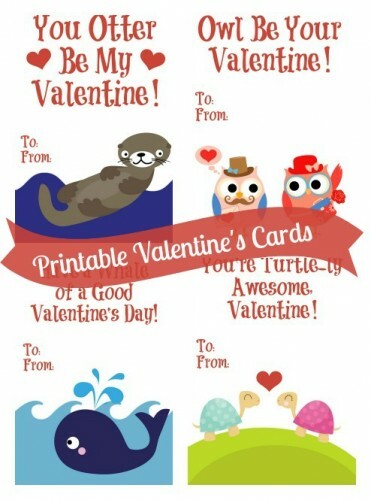 Those are some of the cutest kids Valentine’s Day cards that I’ve seen! I think I like the whale the best. How did you come up with these adorable quotes!? So cute. Thanks for sharing. Pinned and shared! These Are Adorable Great Job!! 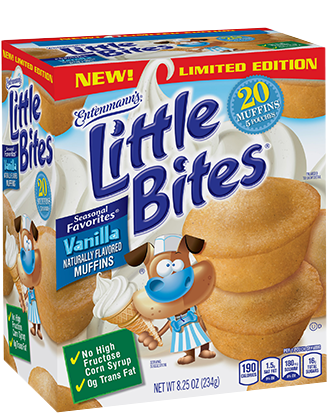 These are stinking adorable! We homeschool, but my kids have always loved Valentine’s Day. Our tradition is to heart attack all of the neighbors doors with special treats. These would be perfect for that!! 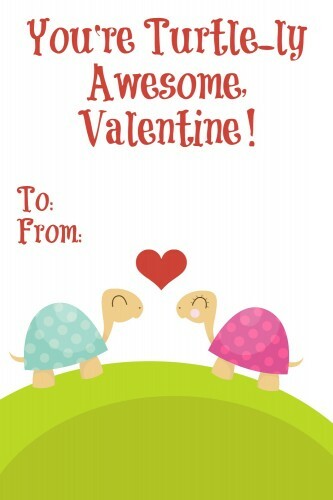 Those are so cute, love the turtles! Extremely special for someone just as special. Great cards to show our love! I super duper love these! SOOOO cute! Pinning! Those are adorable. 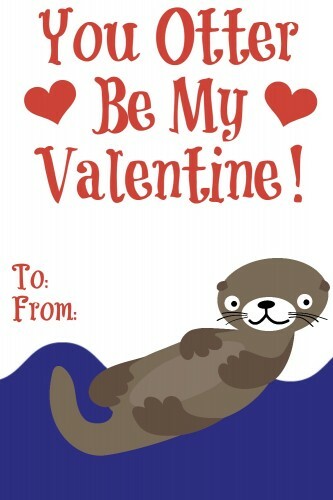 I love the otter. i love these!!! thanks so much for sharing they are adorable. you are very talented! Love the owls! So, so cute!